Unless you’re a professional copywriter, writing a high-converting sales letter can be quite a challenge. It can take days, if not weeks, to put together decent sales copy. After half a dozen edits, you’re finally satisfied with how the sales letter turned out. You’ve covered all the major points, crafted persuasive sales arguments, aggravated the problem and presented the perfect solution — your product. Naturally, you decide launch it. But, after a few weeks, it turns out you’re not generating enough sales, if any… So, what went wrong? Well, the thing is creating a sales letter isn’t that difficult. You just have to know the copywriting basics and follow a specific structure. Creating a high-converting sales letter is a whole different story. You need to know and understand all the nuances that contribute to high conversion rates, as well as how to effectively include them in your copy. And that’s exactly what we’ll be focusing on, in this post. We’re going to go over 7 tweaks you can implement right away to enhance your sales copy and boost your conversion rates. If you’re trying to pitch your product to everyone, you’ll sell it to no one. In other words, avoid generalization in your sales copy. Every segment of the market has their unique wants, needs, problems, and frustration. You need to hone in on your target market, and write as if you’re talking to a single person (your ideal customer) about what matters to them. Instead of writing as if you’re selling to hundreds of people, adopt a fundamentally different approach. Write as if you’re explaining the product to a friend, with genuine intent to help them solve a burning problem. Try to make your sales letter more personalized. Use the word “you” and make the reader relate with the message you’re weaving into your copy. It’s vital to understand that not every customer is the same. They might face the same problem and have similar demographics, but their awareness levels can vary. For instance, some people might know about your brand and the specific solution you’re offering… Others might not even be aware of the solution, or even the problem. Unaware — Prospects who don’t even know they have a problem. They simply don’t realize that there is a way to improve their situation. Problem aware — They know they have a problem, but don’t know how to go about solving it. Product aware — Prospects who are well aware of both your and similar solutions. They’re usually unsure of whether your product is the best out of all the options. Most aware — Customers that have either bought or are eager to buy your products. They’re typically well aware of, and loyal to your brand. Similarly, if someone is already ready to buy your product, it’s unnecessary to bore them with an hour-long pitch. Bottom line is, you need to adjust your copy to reflect your customers’ levels of awareness. Sometimes, this means creating multiple variants. Make sure you understand how they reach the sales letter, and which stage of the funnel they are at, when they do. This will help you make an informed decision, and allow you to close those sales. Knowing whether people are arriving to your sales letter from an ad, through email, or an article — is crucial. Each of these traffic sources essentially pre-sell the solution to your audience. What this means is, they’ll expect to see a sales message that correlates to what brought them here. The writing style, the tone of voice, and even the visuals need to be congruent. For instance, if you’re driving traffic from your blog, people will expect a softer selling pitch, with a ton of relevant, useful information. You’ll create a big disconnect and will struggle to make the sale, if your sales copy focuses too much on building up hype. So, before you launch the sales letter, make sure you understand where the bulk of the traffic is coming from. Then, tweak the copy until your different sales messages are aligned, to meet the audience’s expectations. Everyone can claim they’re an expert on a subject, and have a perfect solution to the problem. Providing proof for these claims is, therefore, instrumental in earning the prospects’ trust. Remember, unless they’re return customers, these people know very little about your company and the quality of your products. You need to give them a solid reason to buy from you, and not your competitors. This is typically done by including testimonials, reviews, and social shares into your copy. Seeing other people sing praises about your products automatically builds trust, and facilitates the purchase. If you want to go a step further, you can provide case studies, or scientific research, to gain credibility and back your claims. Stating the facts about your product, crafting persuasive sales arguments, and conveying the benefits is vital. However, it’s equally as important to include power words in your copy, which elicit specific emotions. After all, your prospects come to your sales letter with certain attitudes and feelings about the topic. Alluding to these emotions often facilitates the buying decision. We’re not always carefully weighing all our options before we buy something. Often, we buy something because of how we feel at the moment. For instance, if someone’s looking for a weight loss product, what would help with the sale is aggravating the problem and talking about the long-term consequences of leaving it unchecked. You can also paint a picture of what their life would look like, if they finally got rid of the excess weight, and had the body they desire. Arguably, this is something you need to think off during the product creation process. In order to stand out from the competition, your solution needs to be different and unique in some way. Whether it’s a lower price-point, an additional feature, or a more tailored solution — it doesn’t really matter. What’s important is to make it blatantly obvious how your product is different (read: better) than similar stuff on the market. That’s the only way you’ll get prospects to invest in your business, rather than that of your competitors. So, before your start writing, don’t ask yourself just “Why would anyone buy my product”? Ask yourself why they would buy your product over all the other products that provide similar benefits. Then, use that defining characteristic as one of your main selling points. This is something so many business owners and entrepreneurs tend to overlook. Let’s say someone reads through 1/3 of your sales letter, and they’re already convinced. They’re ready to purchase, but they have to scroll all the way to the bottom of the page to find that “order now” button. It might not seem like a big deal, but it can be quite frustrating for the potential customer. That’s why you should have multiple Calls-To-Action throughout your sales letter. They should also visibly stand out from the rest of the page. You want the CTAs to be immediately noticeable. They need to pop off. Furthermore, you need to provide the prospects with clear and simple instructions on how to buy. Tell them where to click and what to do to complete their order. Avoid complex and multi-step order forms. Only ask for the information you need, and allow them to complete the purchase as fast as possible. Otherwise, they might second-guess their decision and back out before they complete the buying process. What also helps with removing doubt and anxiousness is a guarantee. After all, they’re spending their hard-earned money on your product. If possible, you want to provide them with peace of mind by offering a money-back guarantee if they aren’t satisfied with their purchase. 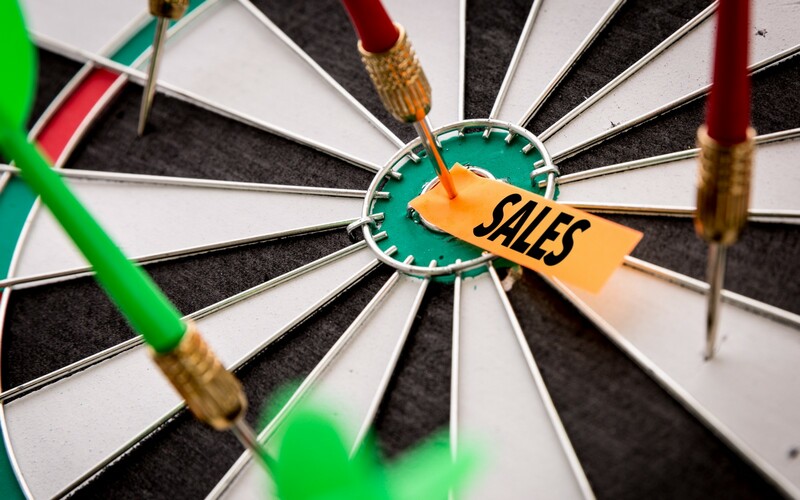 If your sales letter isn’t converting, that’s a clear sign that you’ve overlooked one or more of these crucial aspects. However, instead of panicking, you should carefully go over the sales copy, and make the necessary adjustment following the tips I outlined above. You might not nail everything on the first try, but by following the changes in your conversion rates, you’ll quickly realize what you’re doing right and what you’re doing wrong. Hopefully, these insights will help you fine-tune your sales letters, and ultimately help you maximize your profits. If you’d like more copywriting advice from industry experts and top-earners, then check out the Wealth Academy Direct Copywriting Specialist certification program. Click here to discover how you can become a Wealth Academy Certified Direct Response Copywriting Specialist. CEO WealthAcademy.com Lead Gen Expert, Backpack Millionaire Forbes calls him a “Digital Trendsetter”. CEO of UK’s fastest growing events company.